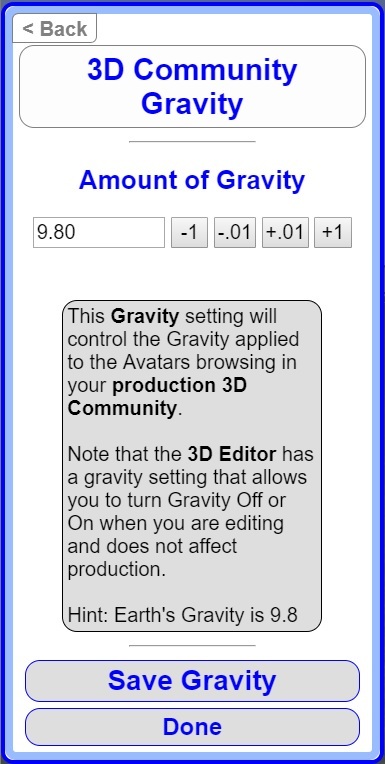 This Gravity Setting is used when someone 3D Browses your 3D Community in Production. Note that the Gravity Setting in Editor Settings is used when you are in Admin Mode with one exception. 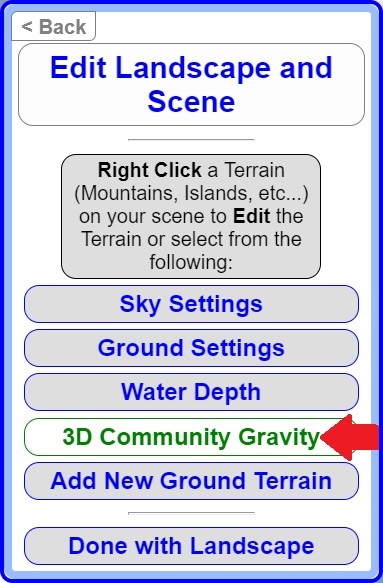 When you open the 3D Community Gravity Settings menu option, the Scene will temporarily ignore the Editor Setting so that you can experience the 3D Community Gravity Setting. and Select 3D Community Gravity. Gravity Amount is applied in the negative Y direction. Zero gravity allows you to Walk all directions (leaving the ground).